This is a great cleanser its so affordable, but its also a great time saver as its a cleanser and toner in one. I really like it as its mild on my skin, cleanses all traces of make up and its totally soap free. Also the cleanser has little beads in the gel that burst upon contact with your skin and it rinses off with water really well. 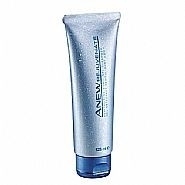 "This is a great cleanser its so affordable, but its also a great time saver as its a cleanser and toner in one. I really..."